Willene Rosa passed away peacefully on September 5, 2018, at the Hospice Home in Jackson, Michigan, at the age of 93. In lieu of flowers, the family has established a “Teacher’s Scholarship” fund. Anyone desiring to submit a tribute in honor of Willene Rosa may do so at: Bible Missionary Institute; P.O. Box 6070; Rock Island, IL 61204. Attn: Business Office, Willene Rosa. Born on January 5, 1925, at Monterey, Tennessee, one of six siblings, Willene grew up in a warm, dedicated Christian home in Old Hickory, Tennessee. She knew first handedly the hardships and shortages of the Depression years. As a child she was well trained in respect for authority, responsibility, and thrift. In her early years she earned money working in 5 and 10 cent stores and taking care of a doctor’s three children. Making house calls with him, she carried his black bag for 50 cents if they were home before midnight and 75 cents if they returned later. 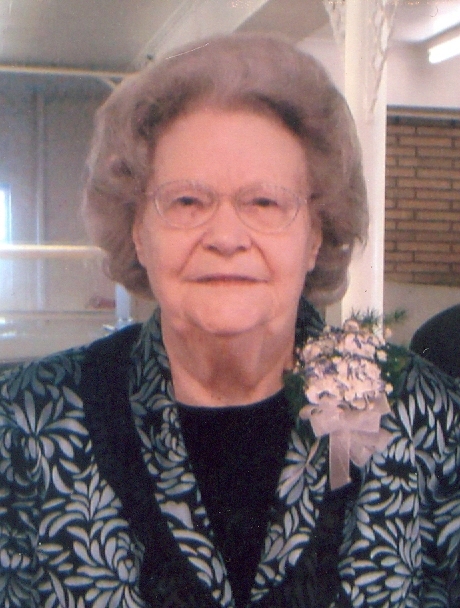 As a high school student at Trevecca Nazarene College, Nashville, Tennessee, she worked on campus to pay her way from her sophomore through senior years and graduated salutatorian of her class in 1942. Trevecca College became very dear to her heart, and apart from weekend trips home to teach Sunday school in the Old Hickory Church of the Nazarene (pastored by Rev. J. E. Cook), Willene stayed in the dorm at college. On December 7, 1941, following the bombing of Pearl Harbor, Willene and her high school dorm mates were allowed to listen to the radio in their room all night and hear the firsthand news reports of WWII. That was a long night filled with anxiety and apprehension. In the days following, she saw her high school sweetheart and many other male classmates enter the military and prepare for war. Upon graduation from high school, she left college to work for the Du Pont Corporation as she pondered God’s will for her life and prayed for her fiancé in the Navy(Pacific Theater). On August 30, 1946, she married her decorated war hero Adrian Rosa (First Class Petty Officer, U. S. N.), and both returned to college where Adrian studied for the ministry and Willene pursued her lifelong ambition to be a teacher. She was the editor of the college annual during her four years of college as well as a staff member. Adrian and Willene were elected to the Who’s-Who of College Graduates at Trevecca Nazarene College where she was the first female to be so honored. In September of 1950, Willene’s first teaching assignment led her to a two-room school house filled with 49 students ranging from grades one to twelve. It was extremely challenging but rewarding for students and teacher alike, yet the heart of this young teacher was completely submitted to the will and purpose of God for her life. In 1952 the Rosas boarded the same luxury liner used by President Woodrow Wilson and sailed for the Philippine Islands as missionaries for the Church of the Nazarene. En route the ship had to stop in port for repairs and Adrian and Willene were put up in an opulent motel for a week. A Nazarene youth camp was scheduled for that week in that port city, and when the special speaker of the camp was unable to make his engagement, the Rosas were immediately chosen to fill his position and became the workers in that evangelistic outreach. After their tour in the Philippines, they were called on by J.E. Cook to start a Christian day school in Duncan, Oklahoma. This ultimately led to Bible Missionary Institute. During the years Willene taught at Bible Missionary Institute, Adrian pastored churches within driving distance of the Quad Cities. They continued to be an anointed team for God. Her life radiated the love of God and a deep concern for young people. She was never too busy to counsel and pray with a student who sought out her wisdom and tenderness. Her heart was an open door available to all who chose to enter and visit. They found her genuine, real, and able to hold confidences. A life that counted for God and man is now passed. A holy influence will follow countless men and women who ponder her name and reflect upon her selfless life. She gave her all for the Savior she loved more than life itself. Because she loved Him, she served others, and she did it with all her heart. She leaves behind a loving family, a host of friends, and a long retinue of admiring former students who hold her closely in the tender embrace of sacred memory.